“A penny saved is a penny earned!” Does anyone really live by this creed? 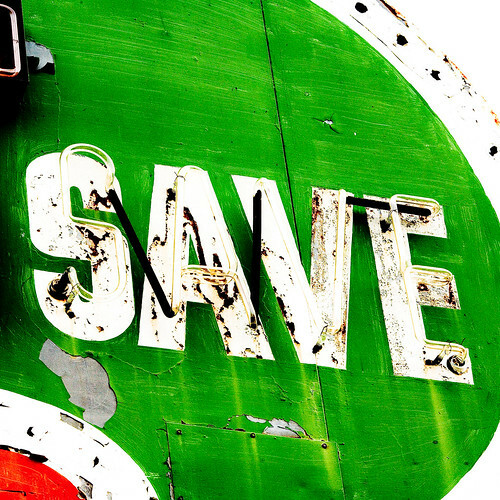 Maybe so, but what does it mean to save a penny? What will a penny get you these days, anyway? A twenty-fifth of a gum ball? A twelve-thousandth of your English 202 anthology of Gothic literature? Sooo not worth it when that amazing camel angora cashmere sweater you’ve had your eye on since before gum balls and English literature were even created finally comes on sale and the last one just so happens to be in your exact size! Unfortunately, it’s the adoption of this very attitude throughout last semester that has rendered your bank account emptier than your 8 a.m. Monday morning class. You know you should save your varsity funds for, ya know, varsity, but it always seems to prove so much easier said than done. Eating out is the ultimate luxury. Someone else cooks for you. Someone else does the dishes. You are waited on hand and foot. You can almost forget that you are, in fact, being charged for it all… almost. At the end of your meal comes the inevitable whopper of a bill you racked up after a drinks and a hearty main, and it’s rarely pretty. Even eating a simple R50 meal just once a week can add up to upwards of R500-R1000 by the end of term if you don’t break the habit. Satisfy your dining urges by organizing a potluck with your friends. Potlucks are a cheap, easy and fun way to bring everyone together. Unless you have a super generous boyfriend who insists on paying for your share every time you go to a restaurant (disclaimer: do not acquire a boyfriend solely for this purpose, cost-reducing as it may be), eating out is out if you want to spend less. And you don’t have to go to the grocery store every day to cook dinner, either. Buy a bunch of chicken breasts and some vegetables, add some soy sauce, and you can make stir-fries in under 15 minutes any day you want. Textbooks are a necessary evil in the grand scheme of your expenses. A new semester means a new set of books, and at great cost. But how many times have you bought a textbook for a class and opened it a grand total of three times, once just to write your name in it? If you know for a fact you’ll be studying extensively from the textbook, buy it used! Google will help you find online classified ads, which provide a great forum for you to link up with other students selling the textbook you need. Think about an ATM for a moment. It’s kind of like a money pit stop when you’re on the go. But when you stop at an ATM that isn’t for your bank, you’re charged a surcharge of R10-R20 merely to dispense a bill. If you’re only taking out R50, stopping at an ATM that isn’t from your bank means you could be paying up to an additional 10% of your withdrawal. Doing this several times a week could add up to several hundred Rand paid in surcharges by the end of one year. Do yourself a favor and find out where the ATMs for your bank are. Next time you need to withdraw some cash, take the short detour to your bank’s specific ATM. If you can’t find one within walking distance, head to a grocery store before trying another bank–the fees are usually lower. It may feel like the closer ATM is the more convenient choice, but what’s convenient about paying additional hundreds of Rands a year? Think about it. No red-blooded varsity-goer can be blamed for embracing the trends of the latest season, but as trends come and go, so too will your funds! This being the case, it may be time to embrace the words of the wise prophet Justin Timberlake when he said, “what goes around comes back around.” Instead of going on a shopping spree at the start of each new season, organize a clothing swap and shop your friends’ closets! Invite a group of stylish girlfriends over and make some strategic item trades to shake up your wardrobe. You can always trade clothes out on loan if you’re not ready to part with them permanently.